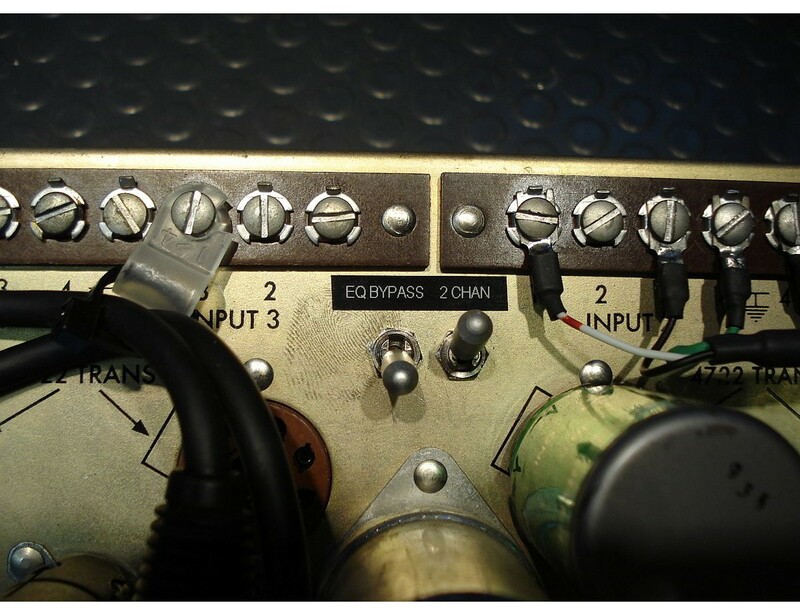 Switches are added to the back panel for EQ bypass and to lift Channels 3 & 4 off the mono summing bus. Locking switches are used to prevent accidental toggle. This modification is fairly simple, requiring only judicious bypassing of EQ circuit and lifting of Channles 3&4 off the mono summing bus. 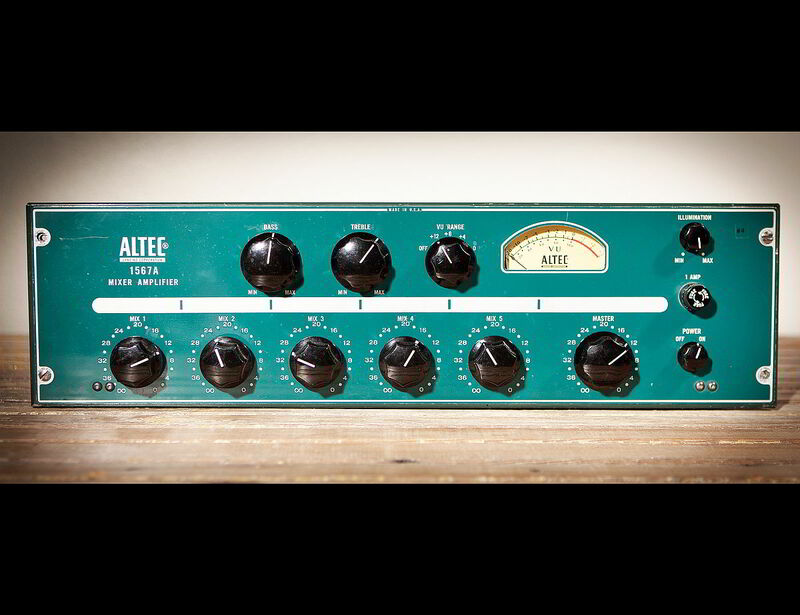 This Mod came about at the request of some customers who noted the fantastic sonic characteristics of the Altec 1567 Mixer due to good sounding tubed mic pres, but found some significant drawbacks that prevented the practical use of the unit in music production. The EQ, when not needed, still added noticable hiss to the output. This unit has a mono output, and it’s unusual to be summing 4 mics in modern music production. Most Altec 1567 owners are only using the unit for amplification of one, or at most two mics. Yet some hiss and hum are still added to the output by unsued channels even if they are potted down. 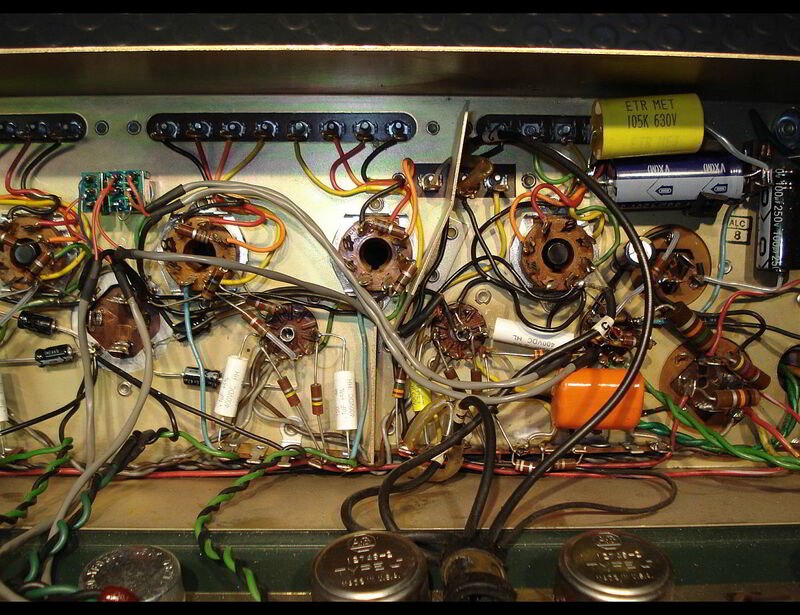 A switch is added on the back panel to bypass the EQ, lowering hiss at the output. 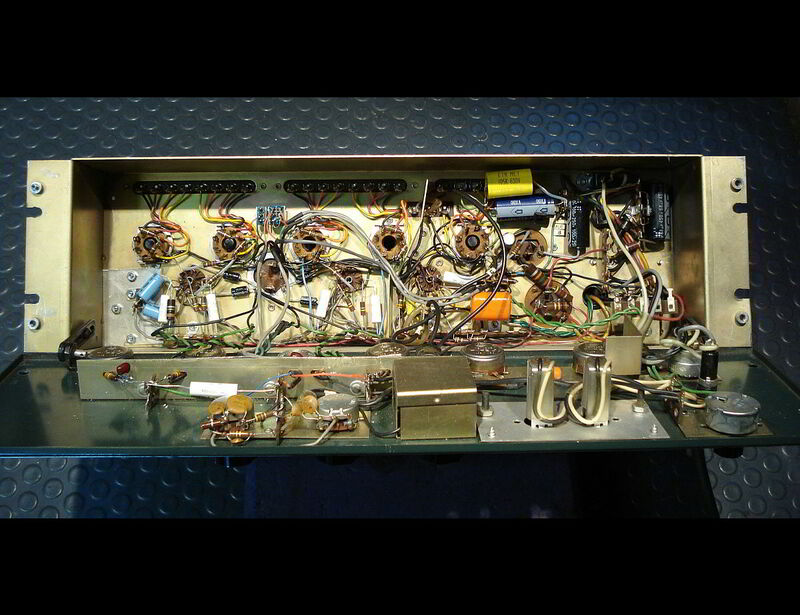 A switch is added on the back panel to bypass channels 3 & 4 & 5, lowering hiss and hum at the output.